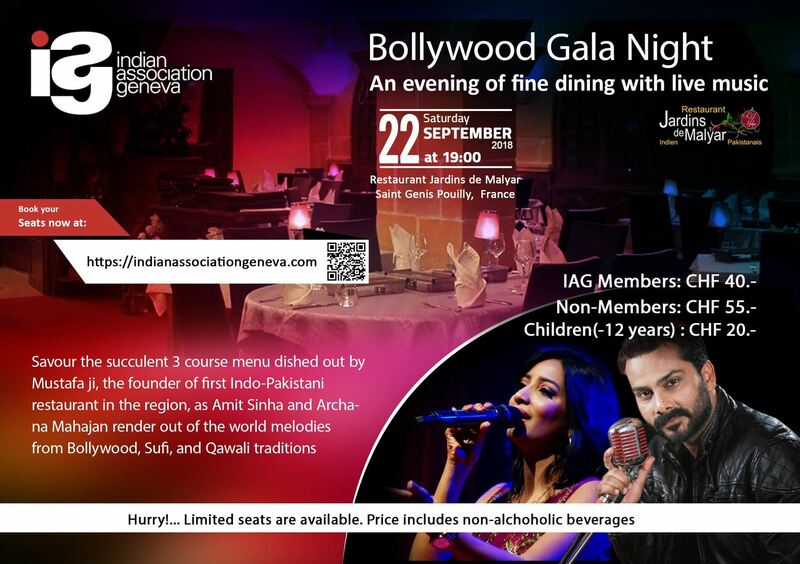 The Indian Association Geneva (IAG) takes great pleasure in inviting you, your family and friends to “Bollywood Gala Night” with live music by Archana Mahajan and Amit Sinha at restaurant “Jardins de Malyar”, Saint Genis Pouilly, France on Saturday 22 September 2018 starting 19:00 hrs. Archana Mahajan is a leading versatile singer of today who made a blazing debut in 1999. Her naturally mild looks and vibrant energies made her an icon for the audience. Her performance has come to symbolize the spirit of a generation. Her breathtaking success as a music celebrity hails from a sincere hard work, essentially the talent as a performer. Amit Sinha is a genuine artist, a student of life. A musician who is looking to expand its horizon. A performer par excellence who can energize souls with merely his presence. A multi-talented showman who capabilities are limited by no boundaries. Amit started off by singing famous songs of Kishore Kumar at the age of 15, now he well versed to sing songs of various singers since his voice is so versatile that can fit for almost all kind of Bollywood, Sufi, Qawalli and the ultimate.. unplug (most demanded section) songs. Below you find links to their songs and do click them. If you’re music lover will not like to miss this event! 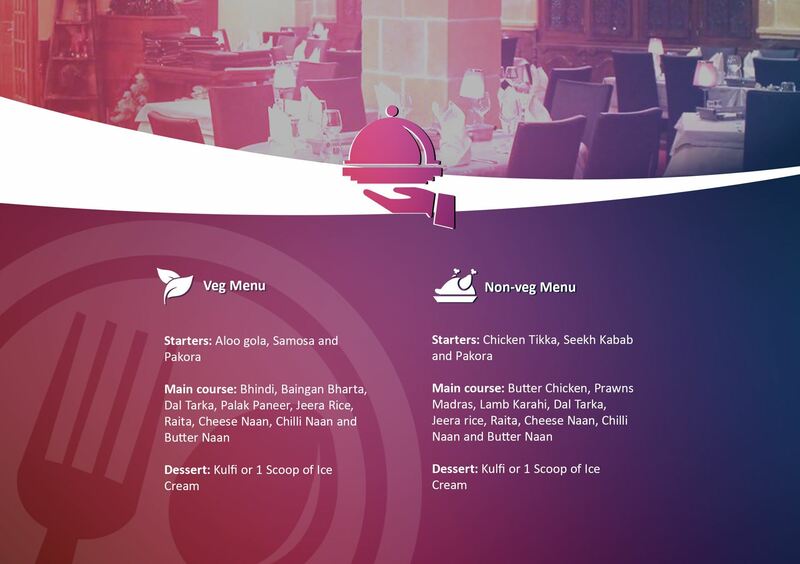 Please note that pre-paid meal reservations are mandatory.